Front Runner Sports offers individually tailored coaching programs along with group based training sessions for runners and triathletes of all distances, ages and abilities. 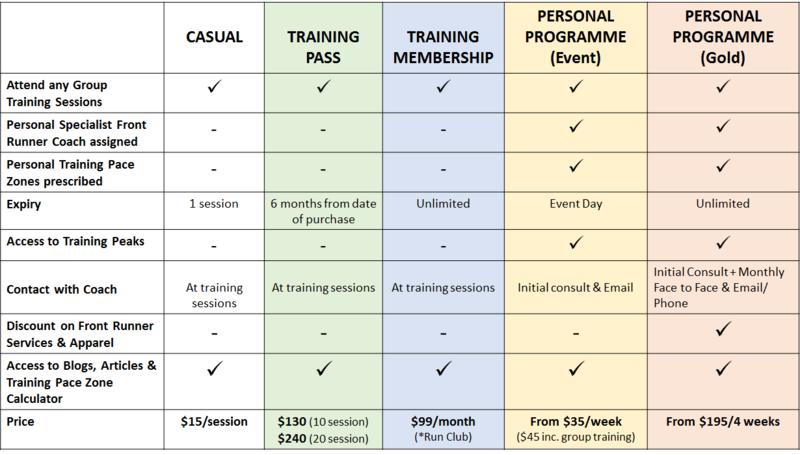 Based on a 4 week or monthly cycle, Front Runner Sports has a few different options that you can choose from to help you to achieve your goals (* Prices are as at April 2017). The first step to your goal is booking a FREE meeting with your preferred Coaching consultant to discuss your training history, goals and aspirations. Keen to come down for a FREE Trial Group Training Session? Contact admin@frontrunnersports.com.au with your interest.